The 1800 block of South Halsted Street will be taken over for the months of May and June by Project Silly. Project Silly is an art installation by Chicago Artist, Face Painter, and Self Published children’s story author Anna Todaro (ms Anna). On display will be over 45 18″ X 18″ photographs and paintings of Chicago residents, most of whom attended the April 2015 Second Friday Artwalk. with painted faces making Silly Faces. 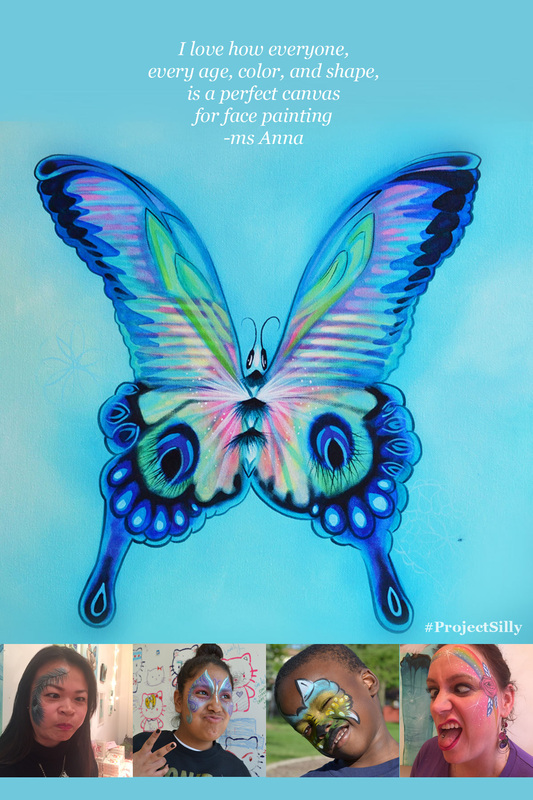 In the main showPod at 1843 S Halsted, on both May 8th and June 12th, ms Anna will be offering facepainting for all ages for anyone else who would like to come by to be a part of #projectsilly. 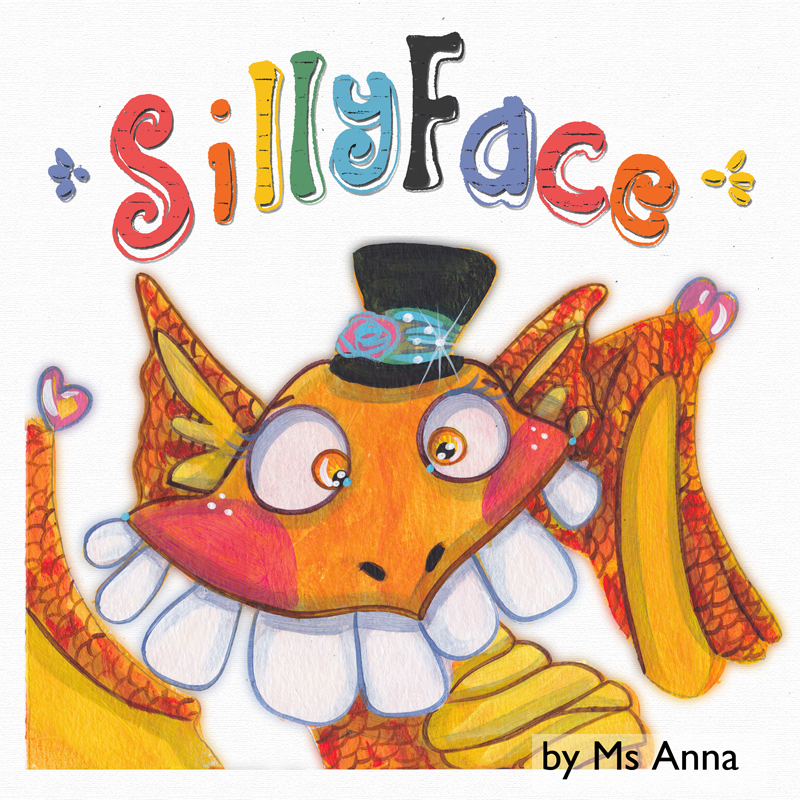 Ms Anna will also have original paintings, prints, and copies of her newest board book, SillyFace, available for purchase. — with Alena Delacruz and Deanna Seglem at Chicago Arts District. This is a commissioned mural in a new home in Skokie, IL. It descends a staircase and is on the ceiling. The inspiration for the mural came from a collection of ideas and images special to the home owners. As I painted, a story emerged. It is the story of a lonely unicorn who comes across a magical spring. When he leans down to drink, he finds that there is a whole other world on the other side of the water. A world filled with beings just as magical as he. I am going to title it “Magic Spring”. It make me think of the “Through the Looking Glass” concept. 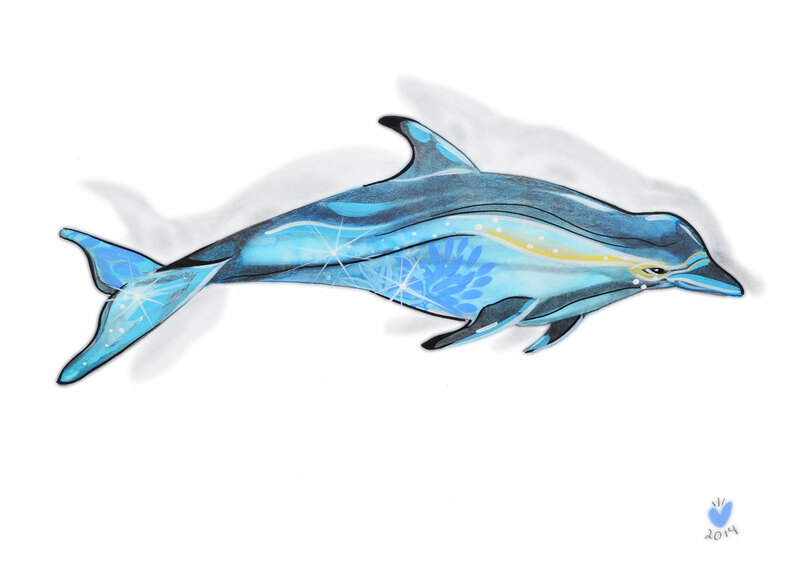 I am available for commissioned murals in your home as well. Prices start from $600. 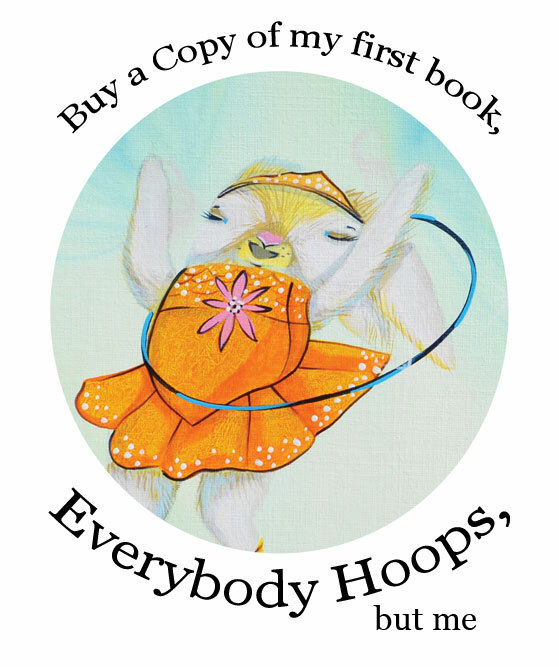 My second book is almost here and to celebrate, I am having a pre-sale book party during the second friday art walk in my studio. Come for face painting (all ages welcome), art, prints, and to be among the first to see what I’ve been working so hard on. The official release will be on November 22nd in my booth at the DIY Trunk show in Chicago. There is no talking in it, but I’m pretty proud of my new little creation. If you love what I do, please feel free to share. I am a one girl production and can use all of the help I can get. Thank you and I hope you enjoy these images. Here is Jennie smiling, while I am certain she is really wondering how we are going to make this actually happen. Using the old shelf base for a pattern for the new chair seat. Jennie cutting out a new chair base from scratch. ms Anna working with the drill, making holes for the chair back. Perplexed…… Jennie and I finally figured out which post went in what order. The pivot of the chair comes from a lazy susan Jennie found that we learned how to attach online. Lucky for me, Jennie had this beautiful scrap fabric stored in her basement which perfectly matched the purple of the 30″ stool I found on craigslist (no one had wanted that stool because of its odd violet hue……no one….until ms Anna that is). Jennie had this great suggestion to paint one of my flowers on the chair seat. For fair season this year, I really wanted to try something different for my booth. When I found this old chair backed shaped shelf with stars on it at the thrift store, I decided to see if there was a way to turn it into a Magical Facepaint Chair. With the help of Craigslist, I found a perfect 30″ stool base (which no one else wanted because the color was so odd). With the help of my sister in law Jennie (a structural engineer of all things) and my nephew Dean Everett, we were able to create a Magical Facepaint chair from scratch (which also swivels). Stay tuned for facepainting with ms Anna this summer at fairs, special events, and private birthday parties. For more information on hiring ms Anna for your event, please check out http://www.msAnnaArt.com Summer season weekends are almost completely booked and weekdays are filling up fast. Please message for availability right away. I make designs for boys and girls (all ages welcome). Everything from fairy princesses, butterflies and pandas to pirates, aliens and dragons. I am also pretty good with funny mustaches. For parties and events, I can create custom designs based on your theme and color scheme. At a standard 1.5 hour birthday party, I can paint 18 full faces (as seen on my postcard). All paint is professional grade, coconut based body paint. Because everywhere she went, she printed birdfeet. Lovey and the Grouch is a story about a young Possum named Lovey who receives a pair of birdfeet for her Birthday. Because of they way they print hearts when Lovey walks, she calls them the “walk with hearts.” But what happens when Lovey’s new birdfeet are stollen during show and tell in Ms Mayhem’s class? Will Lovey blame her enemy the Grouch? Will she go home and cry and plot revenge? Stay tuned and see! This and many other Mother Heron stories by Ms Anna are in the works. 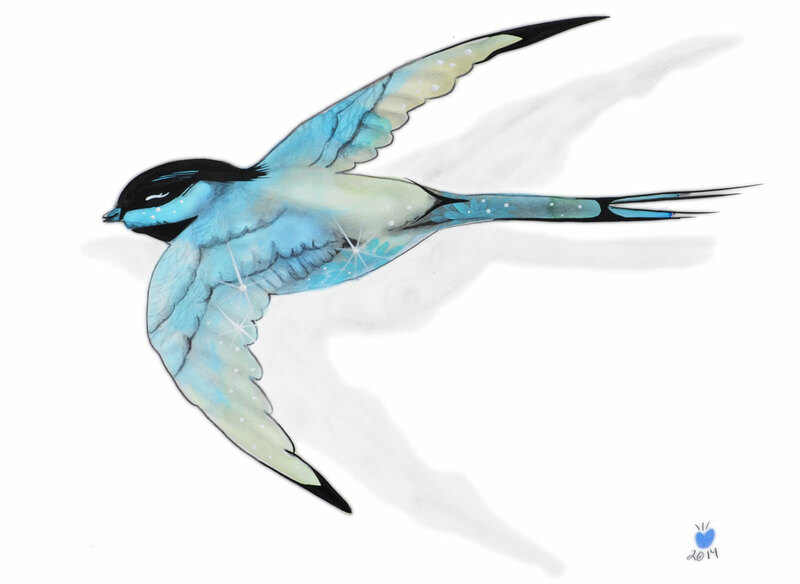 Swift mixed media, Acrylic, Watercolor, Ink, and Pencil. Both of these drawings are up for sale on ETSY.